Author, chef, student & father Tim Yohe: "I am passionate about everything I do"
Welcome to Timothy Yohe, an author, researcher, freelance writer, paranormal investigator, and aspiring Middle School Science teacher. His publications cover a wide range of genres and subject material. 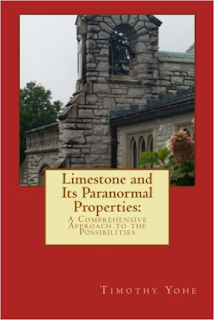 Limestone and Its Paranormal Properties is his first book. Currently he is working on his first fiction novel entitled: A Haunting in Eden Meadows. 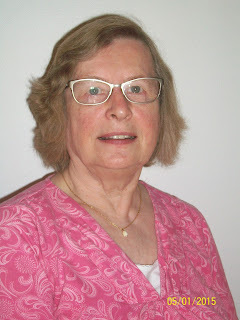 It is a paranormal historical fiction story revealing the highlights and tragedies of the 1920’s and portraying life, in haunting detail, of tuberculosis sanatoria. Timothy is also working on his first young adult paranormal fiction book. Its format is inspired by his childhood love of M. V. Carey’s book series originally entitled Alfred Hitchcock and the Three Investigators. The storyline is centered around the Pokemon Go game and an abandoned tuberculosis hospital in Ohio. His second non-fiction book is currently in its research phase and focuses on the subject of pregnancy and the paranormal. This book is inspired by the loss of his daughter, Hannah, who died in the womb. When and why did you begin writing? I have always been a bookworm from a very young age. I can remember chomping at the bit each week when I was in elementary school, waiting on the shipment of I Can Read Books to arrive. When the postman would drop them off, sometimes two or three at a time, I would hungrily run to my room and devour each book’s content. It was through this program that my love of Charles Schultz, Sid Hoff, and Roald Dahl was spawned and grew with me well into my high school years and even yet today with my own children. Back then I knew I loved to read and someday I was going to be a writer. Throughout my middle school and high school years I wrote snippets of stories and I even delved into the realm of poetry. I have always enjoyed writing. It gives me an opportunity to explore the depths of my imagination and to bring to life ideas and characters that otherwise would only exist in my mind. Once I entered college back in 1994, the art of writing took on an entirely new dimension. I was going to double major in English and Spanish Translation. I signed up for junior and sophomore level English classes my freshman year. 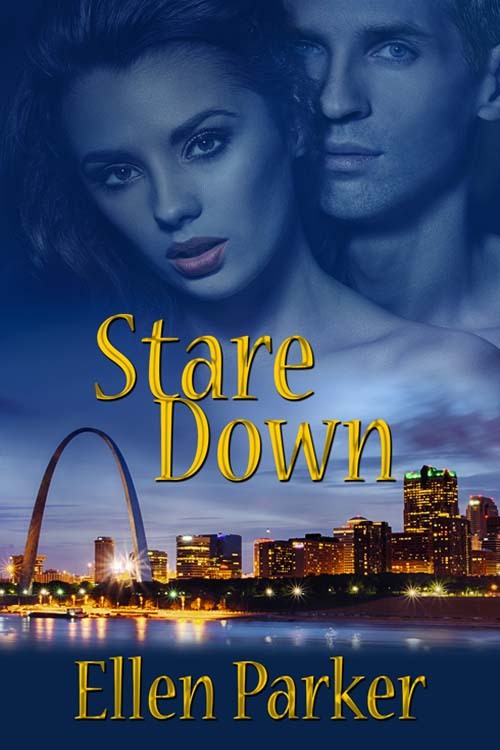 After getting a deep submersion into the classic writers - in particular the British authors like Charlotte Brontë, Jane Austin, and James Joyce - my passion for literature was launched in a new direction. Many of my first writing experiences were book critiques, character/metaphor analysis, and plot/scene interpretations. As I attended more and more classes I began to grasp and understand the intangible infrastructure that gives good writing its backbone. A major turning point in my academic career arrived one day when I attended one of my British Literature classes. The teacher, who I was very fond of, was passing out a paper that was written by one of her students. She told us that she wanted everyone to see how a book critique was supposed to be written, as this example was structured precisely the way she wanted. When she got to my desk and handed it to me, I recognized it immediately. It was my work. That experience gave me the confident surge I needed to fully realize that I did have writing talent. It wasn’t until a few years ago when I finally decided to seriously pursue a writing career. Inside, I felt it was time. On December 31, 2013, I launched my first blog. I decided to call it The Paranormal Blog and my vision for the site was to research the paranormal world and write very unique perspectives on the subject. 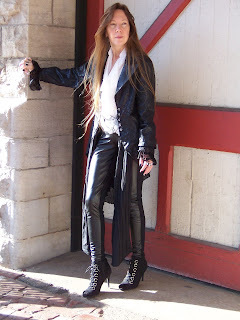 I wanted to be different from every other paranormal site out there. Nearly three years later the site has been renamed Paranormal Insights (ghosttracker423.blogspot.com) and it is now fast approaching 22,000 views. 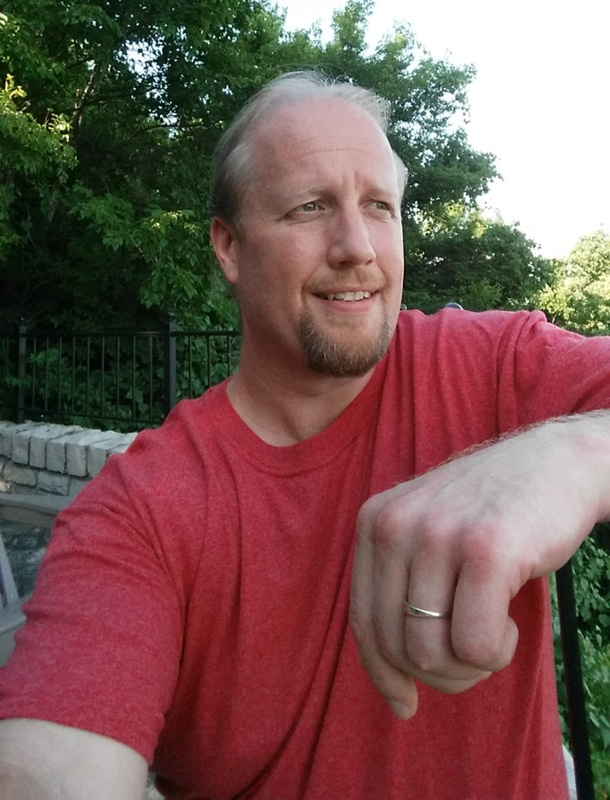 My inspiration for starting this writing process was inspired by horror fiction author Brian Moreland (BrianMoreland.com). I commented on his blog post about the Trans-Allegheny Asylum and he responded with an offer for me to guest write on his site. I submitted an article about the Molly Stark Hospital in Ohio and the rest is writing history. To this day I strongly encourage everyone to post comments with authors and on sites where he or she has an interest. You really never know what may happen. What is your writing process? How do you balance writing with other aspects of your life? I am putting these two questions into the same answer block because they are definitely connected. I have a relatively large family with 6 children – 3 are still living at home. I work a full-time job as a chef in a local university and I have also been going to school to be a Middle School science teacher. I am a very happily-married man who is very fortunate to be able to walk this life with my soulmate. I maintain 3 blogs, a monthly newsletter, write professionally, and I am in the midst of 3 more books. My time is incredibly limited and must be strictly managed. Now, you may say, “You have far too much on your plate. Perhaps you should whittle things down and focus only on a couple items.” I could. But I am passionate about everything I do. My biggest challenges with such a daily rigorous schedule is learning to slow down, focus on the things in life that really matter, and BE PATIENT. Rome was not built overnight. With this in mind, I put as much effort into my writing as I can each day -keeping the important things, like family and marriage, in focus. Yes, sometimes I falter and need a little reminder to keep what is important close to my heart. But that is the learning process of writing, and each writer will have his or her own unique experiences in the journey. I encourage authors and aspiring writers to check out other professionals who may be in your same situations or gone through the same experiences. Jeff Goins, Michael Hyatt, Joanna Penn, Dorie Clark, Crystal Paine, and Tsh Oxenreider are just a few in a long list of authors who may be able to help. My writing process has been a slow, deliberate development over the past couple of years. I do a lot of research. A ton. At first it took up many, many hours of my time. Now I know where to look and what resources work best for the topic I have in mind. I use the public library extensively, perform searches on Google Scholar, and I love using the online library at St. Louis Community College. One of its greatest perks is if you are an enrolled student, you can have PDF copies of articles from nearly any publication sent to your email inbox. I have literally saved hundreds of dollars using their interlibrary loan system. When it comes to the actual writing process itself, I have a few different approaches that I implement. Ideally, when I am at home, I like to sit at the kitchen table with my laptop, put on the headphones and jam out to Dubstep. The music really gets my creative juices flowing and it provides a fluid momentum. During the school year I get up at 4:20 a.m., shower, and then write for about 30-40 minutes. At this time of day the house is perfectly quiet and my brain is working at its most efficient pace. At work, when I am on my lunchbreak, I make sure that I have a piece of blank computer paper and a pen in my pocket. While I eat lunch I write out a blog post or any writing ideas I may have. Later at night, when the kids have gone to bed, I sometimes will write on the laptop for about an hour. The latest tool I have been working with is voice typing. It can be a little difficult to work with because you have to go back and edit everything you spoke, but it does get the bulk of the material down on the screen. It has been a time-saver for me thus far and I plan to continue using it. Would you share a bit about your next project? My first work of fiction is set in the 1920’s and I am currently doing extensive research to make the scenes, conversations, and people as true to the time period as possible. I intend to bring the reader down to ground zero inside a tuberculosis sanatorium so that everyday life, surgeries, treatments, and hospital procedures can be experienced. The book will have a paranormal/horror aspect woven throughout its content. The setting is modeled after the Glen Lake Sanatorium that was in Eden Prairie, Minnesota, but since the 1990’s has been torn down. I am reading and taking notes from writers who have reflected on the time period - like Betty MacDonald. There is a Facebook page devoted to the Glen Lake Sanatorium where I am extracting information as well. A Haunting in Eden Meadows is book one of a series and it will also be a companion to another series involving modern-day paranormal investigators. The first book in this series will take place in 2017 and the team’s first investigation will be inside the Eden Meadows Sanatorium nearly 100 years later. If you have read the historical fiction book first, then you will understand what evidence the paranormal investigators will find much later. LIMESTONE AND ITS PARANORMAL PROPERTIES: The idea that limestone rock has an ability to absorb and release electromagnetic and psychic energies has been a sweeping assumption by many paranormal investigators due to its prevalence on very haunted sites. Parapsychologists throughout history have made convincing assertions and theories like Thomas Charles Lethbridge’s Stone Tape Theory have been presented to explain this phenomenon. All of these attempts have carried little definitive scientific merit. Finally, Limestone has been written as a starting point for scientific answers to the questions of how exactly limestone can exhibit paranormal properties. Inside you will find information never shared before… a bridge between science and the paranormal world that begins with the creation of Earth and ends with our current quantum theories. Open this book and you will begin a truly spectral journey!